In previous blog posts and social media outlets I have written about the need to hire a criminal defense lawyer before charges are filed. Obviously not everybody reads my posts because I am retained on hundreds of criminal cases that might never have been filed otherwise. 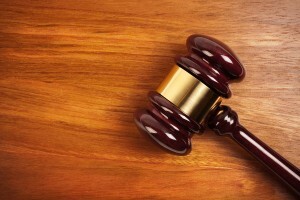 Once you think you might be charged with a crime it is imperative to contact an attorney. Here are some examples of cases that would never have been prosecuted had the defendant hired a lawyer prior to charges being filed. A young woman just out of college and working at her first job was driving home from a party. She had a few drinks in her. She was in an unfamiliar neighborhood and was driving the wrong way down a one-way street. Once she realized what she was doing she attempted to turn around. In doing so she hit and damaged a parked car. The owner of the car was sitting on his porch and heard the crash. He was able to get the license plate on the car but he could not see the driver. As a matter of fact he did not know if the driver was a man or a woman. The car was registered to the woman’s boyfriend. He was contacted by the police. He was out of town and did not know who was driving the car so he called the woman. She told him what happened. Then, trying to protect him she called the police and told them what happened. She was charged with leaving the scene of an accident. Had she hired a criminal lawyer she would have been instructed to say nothing. Her boyfriend might have been summonsed for a clerk’s hearing but no complaint would have issued against him. So now the woman had to hire a criminal defense lawyer to defend her for a criminal case that should never have been solved. The defendant had been served with a restraining order that he never opposed. That was his first mistake. The supporting affidavit was insufficient to warrant the issuance of the order yet his failure to defend resulted in him being ordered to stay at least one hundred yards from this woman. One day she saw a car that looked like his driving past her house. It was easily within one hundred yards of her. She called the police and admitted that she was not sure if it was him or not, just that the car looked like his. The police called him. Instead of hiring a lawyer he spoke to the police and admitted to driving by her home claiming it was inadvertent. He was charged with a 209A violation. Again, had he hired a lawyer before talking to the police no criminal complaint would have issued. The police were investigating a murder case and located a witness who had information about the gun used in the killing. He told them that my client had sold the gun to the murder suspect a year before the crime. There were no fingerprints or DNA on the weapon or any other evidence linking this man to that weapon. Nevertheless, this man spoke to the police without first consulting counsel. Thinking that he could not be charged with a crime he admitted that he once possessed the gun but that he had never sold it to anybody. Rather, it was stolen from his home. He was ultimately charged with carrying a firearm and possession of a gun with an obliterated serial number. Had he said nothing there would not have been a case against him. Anytime you think you could be in trouble you should at least call a criminal lawyer. We can be contacted 24/7 at 617-263-6800 or by email. Let us help you.